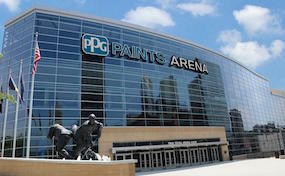 The PPGPaints.ArenaPittsburgh.com is a privately held company that specializes in the sale of tickets in the secondary market. We are not affiliated with any official supplier or box office. Prices on our site tend to be above face value and will change quickly with demand. To purchase tickets to any PPG Paints Arena in Pittsburgh events simply call our operators at anytime or click on the event you wish to attend.